I've had this doubt for a while now: Is there a fixed day when the weekly quota is awarded, or is it different for each user? It's a sliding window. It keeps track of the downloads you made during the last 168 hours, and if the quota downloads add up to where the next one would go over the limit, it starts costing points instead. I'm probably blind, but I can't seem to find where I see my free archiver quota unless you mean on the donations page where it lists the rewards. That's only for the quota granted by running H@H.
Ah, you're right. So I suppose you'd add that number to the donation quota specified on wiki, and also add the butterfly amount to find the full quota. I'm curious if any catgirl level donors have ever breached the free cap threshold. 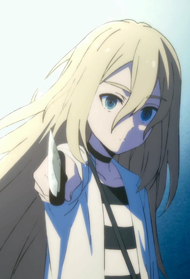 Tenboro has a new avatar now based on Angels of Death. Maybe we can get new Hentaiverse weapons. The Firefox bug is supposedly fixed for Firefox 64, but won't be backported to 63. I know webm is still a WIP, but... approximately how long will it take? There's plenty of things I'd like to upload but, you know, can't.